Canada’s Alberta Court delayed the bail ruling for former Guantanamo inmate Omar Khadr until Thursday, as the judge weighs arguments for and against. The government claims Khadr’s release would damage Canadian relations with certain countries. Court of Appeal Justice Myra Bielby said she needed more time before deciding whether to grant the government’s last ditch effort to keep Khadr behind bars, despite the lower court’s earlier order to free him. The issue being debated is the April 24 order from Court of Queen’s Bench Justice June Ross, which ruled that Khadr, 28, should be granted bail as he waits for the appeal of his war crimes conviction in the US. Khadr was scheduled to be released on Tuesday to live with the family of his lawyer Dennis Edney. This would have been the first time the man, who was captured at the age of 15 and jailed in America’s notorious Guantanamo Bay prison, got a glimpse of freedom in 13 years. The government lawyers filed an emergency motion to keep Khadr in prison until the appeal of his bail order can be heard. Federal Crown prosecutor Bruce Hughson argued that releasing the Canadian citizen would cause “irreparable harm” to Ottawa’s diplomatic relations with other nations, when it comes to transferring Canadians home to serve the rest of their sentences. However, during the cross examination by Khadr’s lawyer Nathan Whitling, a senior Corrections Canada official in charge of dealing with the transfer of prisoners, Lee Redpath, said that there was no real evidence that Khadr’s release would harm relations. He did admit that a theoretical possibility exists. Moreover, defense argued that Khadr’s case could not even be used as a precedent for others in the future because it is very unique due to the controversial plea deal in Guantanamo and the pending review of the legality of the conviction in the US. Meanwhile, Hughson maintained that “springing” Khadr from prison is not in anyone’s best interests, adding that it would be better for him to be slowly reintegrated into society. 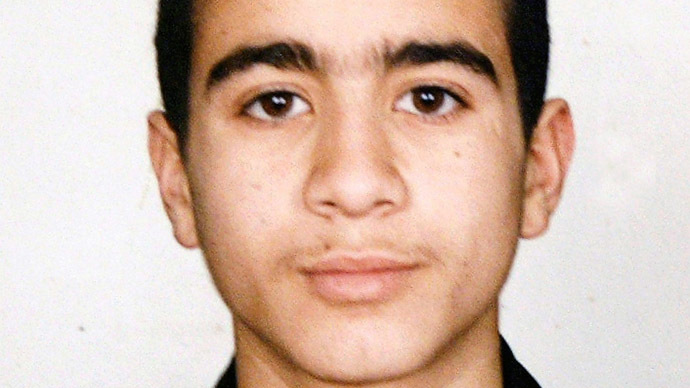 Omar Khadr was just 15 years old when he was detained by American forces in Afghanistan in 2002 and taken to the Bagram Air Base, then Guantanamo, where he later pleaded guilty to murder in violation of the laws of war. Khadr tossed a grenade that killed Sgt. Christopher Speer, according to military prosecutors. Stephen Harper’s Conservative government has been pursuing a tough stance on terror by supporting things like giving more powers to the Canadian intelligence services and the police forces. Some of those efforts are reflected by higher military spending and the Bill C51, otherwise known as the anti-terror bill. Moreover, some reports in the Canadian media suggest that Harper would like to use the Khadr issue as a political wedge in the upcoming fall general elections since the latter’s fate provokes starkly different opinions. If the judge decides to proceed with the bail on Thursday, it will be under strict conditions. Khadr will have to wear an electronic monitoring bracelet and only be allowed limited and supervised time with his family and the internet. All the conversations with his family would have to be in English. Bielby’s bail decision is scheduled to be delivered at 9:30am local time on Thursday.